The Big Wobble: WHAT COULD GO WRONG? Floating Sunscreen-Like Film to 'block out the sun' to combat the death of the Great Barrier Reef. WHAT COULD GO WRONG? Floating Sunscreen-Like Film to 'block out the sun' to combat the death of the Great Barrier Reef. It's been called a race against time, Australians are desperately searching for solutions to combat the death of the Great Barrier Reef. 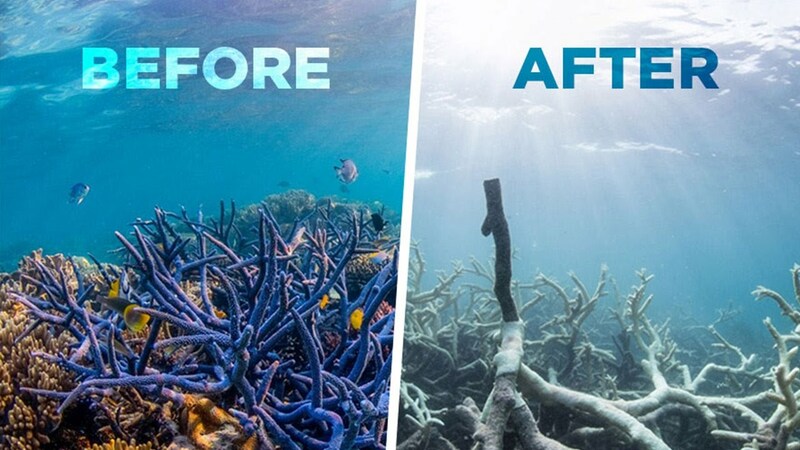 According to Sarah Gibbens of National Geographic, a report was published at the beginning of this year by Journal Science who claimed the window to save the Great Barrier Reef was rapidly closing. The analysis confirmed that bleaching events were happening more frequently, giving corals less time to recover from a stressful episode. Several days after the report was published, the Australian government announced they had set aside 1.6 million US dollars for funding projects. Included was a cash prize to whoever offers a clever solution to save the reef. Conservationists hope to dial down the rapid decline of coral. A "sun shield" 50,000 times thinner than a human hair has been designed to sit at the surface of the water, directly above corals. The thin film is meant to be like an umbrella that partially blocks out the sun. The shield is biodegradable and is made of calcium carbonate, the same component that coral skeletons are made of. HAVE WE NOT LEARNT ANYTHING? With lung and heart disease sky-rocketing around the planet from chemtrails to try and cool down the planet to Genetically Modified crops and pesticides killing insects and animals all over the world, stop messing with the ecosystem, leave it alone before we find out ten years down the line we have saved the coral but poisoned all the fish!